Bob Dylan's latest LP, Tell Tale Signs: The Bootleg Series Vol 8, will be available to hear in full from tomorrow. National Public Radio will be hosting the stream, a week before the album's official release on 6 October. Tell Tale Signs' is, as the full title suggests, the eighth instalment of the Bootleg Series. 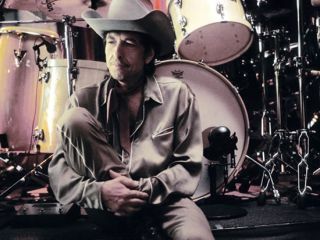 The new collection features rare or previously unreleased tracks, demos and live versions, mainly from Dylan's latter period encompassing Time Out Of Mind, Love And Theft, Modern Times and Oh Mercy. One track - Dreamin' Of You from 1997's Time Out Of Mind sessions - is available to download for free here. Alternatively, watch the video here. You can stream the album on NPR.org from 12am Tuesday 30 September.